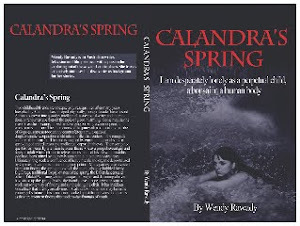 Calandra's Spring book: My second book is available on Kindle. My second book is available on Kindle. This is new, new news! I just uploaded my second novel, 'The Other Side of Nowhere' for Kindle purchase and while the cover is only a temporary one (I have a short video to embed and it won't let me :-( so may need to add that later!) it is ready for reading as soon as amazon says so! Watch this space and I will post a link direct to amazon as soon as possible. Very excited to see it happen and will look into the cover possibilities and replace that when I can afford to get a professional design. Not cheap! Releasing ... The Other Side of Nowhere.